Photos/images courtesy of Long Beach Filipino Festival. 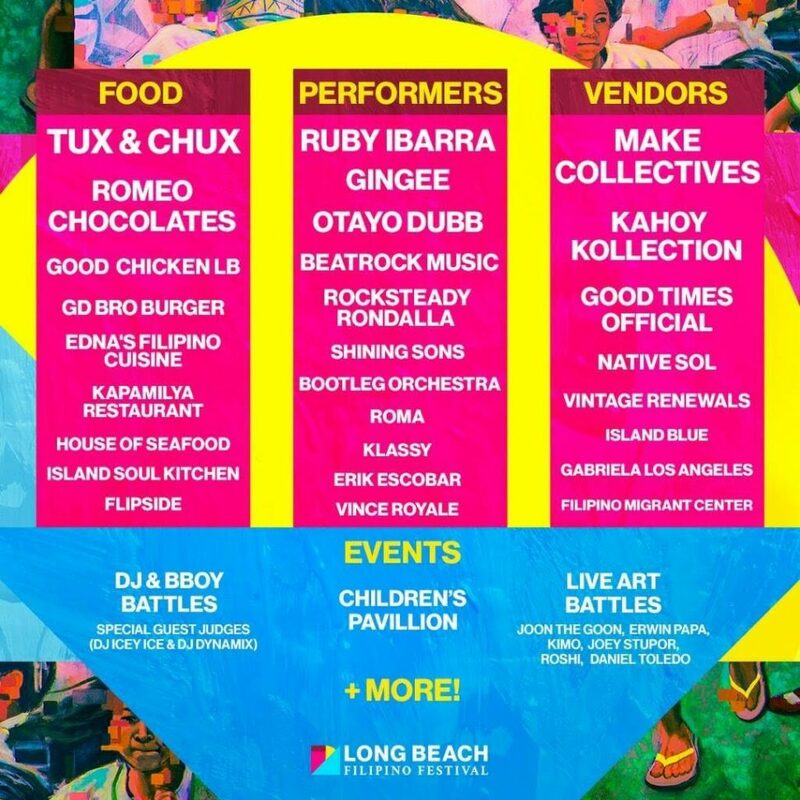 Long Beach’s first-ever Filipino Festival will take place Saturday from 11:00AM to 7:00PM, bringing Filipino American food, art, performances and vendors to Silverado Park. The free event will also feature Filipino celebrities, music, dance, and entertainment throughout the day. The initial planning for the festival included 20 vendors and up to 700 attendees, however since word has spread, 70 vendors are expected to set up shop with 1,600 confirmed attendees, Formoso said. 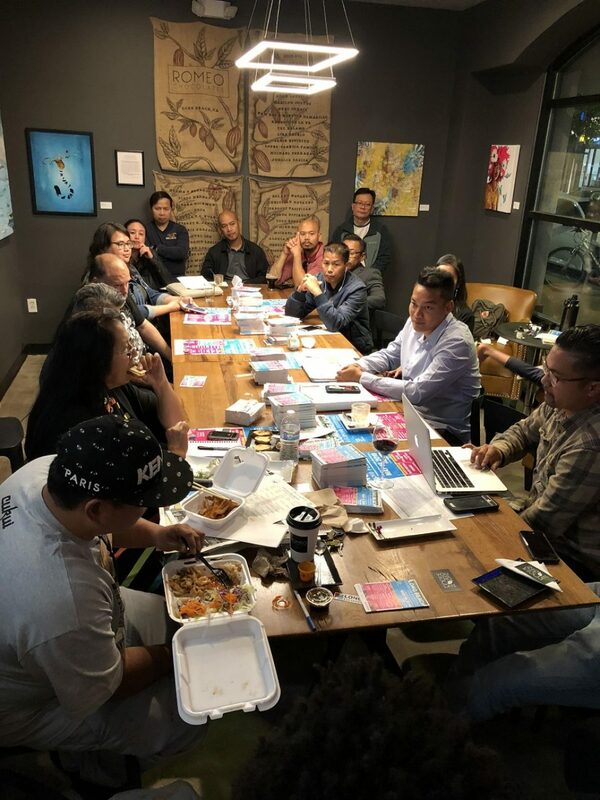 Attendees can expect a hip-hop pavilion sponsored by Indie music label Beatrock Music where upcoming Bay Area-based Pinay rapper Ruby Ibarra will perform, with music by DJ Icey Ice and DJ Dynamix and breakdancing contests. Local favorite Bootleg Orchestra is also set to perform during the festival. Filipino Festival organizers in action. Vendors will include Make Collectives, Kahoy Collection and Good Times official, according to Joshua Garcia, the festival’s art manager. There will also be a live illustration battle, hosted by Garcia and POW! WOW! Long Beach muralist Bodeck Hernandez with two hours of live illustration to take place between two teams of three artists. Other activities will include children’s games and face painting and a pavilion showcasing Filipino American history in Long Beach. 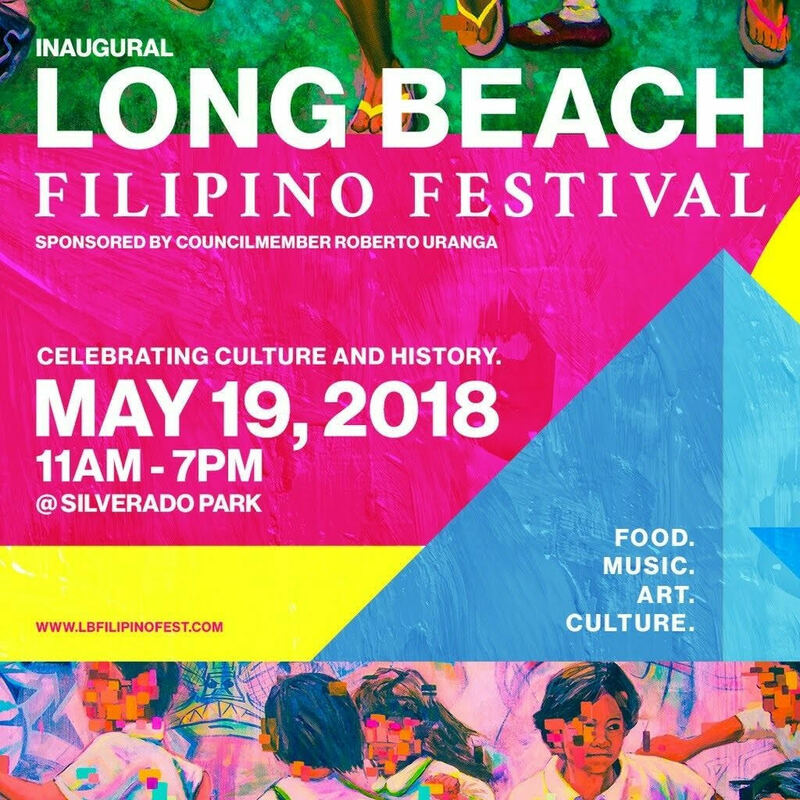 The entire Long Beach community and beyond is invited to celebrate Filipino culture and its history. “The festival is inclusive of everyone and we want to make intergenerational bridges between older and younger generations, as well as personal bridges,” said Formoso. Silverado Park is located at 1545 West 31st Street.